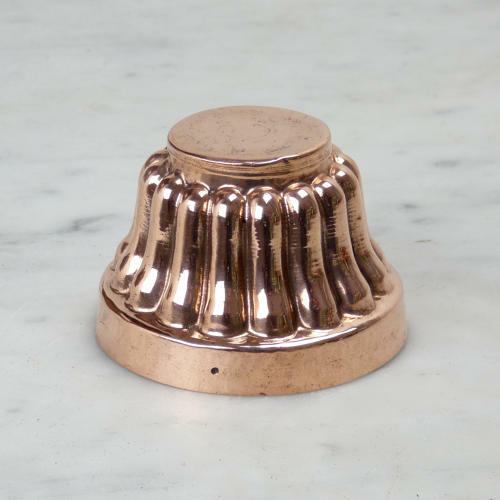 An unusual shaped, miniature, Victorian copper mould. This mould dates from c.1890. The design is quite simple, with fluted sides, but they are flared, making it quite different. It is made, from quite a substantial gauge of copper, and is in very good condition. The tinning, to the interior, is in quite good condition and it could still be used.